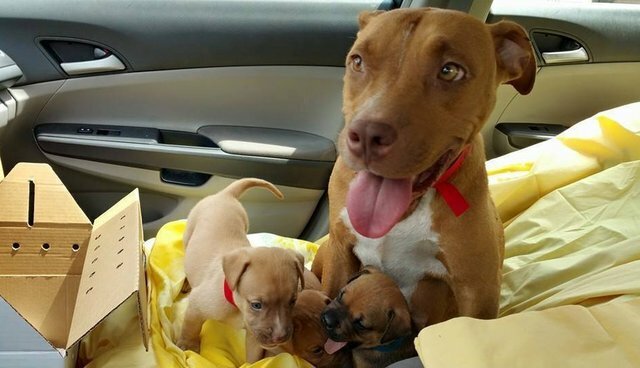 A mama pit bull and her three adorable puppies were rescued after a terrifying attack on their Miami home last week. Shockingly, the house they were living in was shot at and then set ablaze by a Molotov cocktail in a gang-related incident. Thanks to police and firefighters who arrived at the scene, the mom and her pups made it out unharmed. 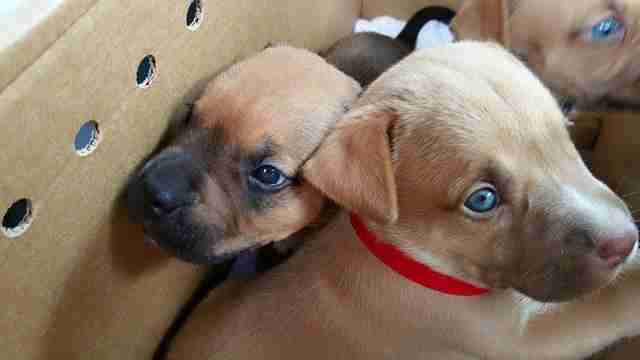 The SPCA of Brevard stepped forward to take in the little family. Now Sophie and her three 4-week-old puppies are happy and healthy and getting ready for adoption. 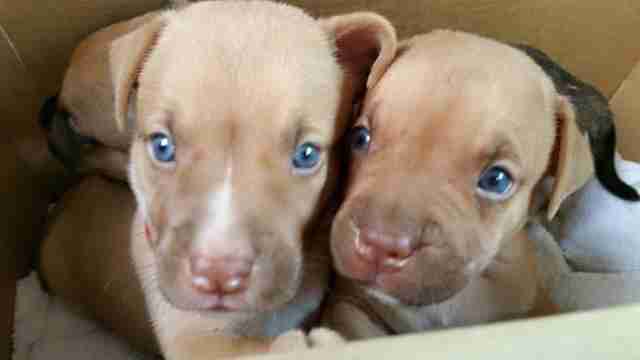 "They're doing wonderfully," Angie Friers, associate director of the SPCA of Brevard told The Dodo. "They're all happy and healthy and the puppies are fat." In a few weeks the adorable pups will head home with brand-new forever families - and they'll never have to fear for their safety again. Sophie will be looking for a home soon as well, and her rescuers are confident that she'll wow potential families. "She's amazing honestly; we don't think she'll have any trouble getting adopted," Friers said. 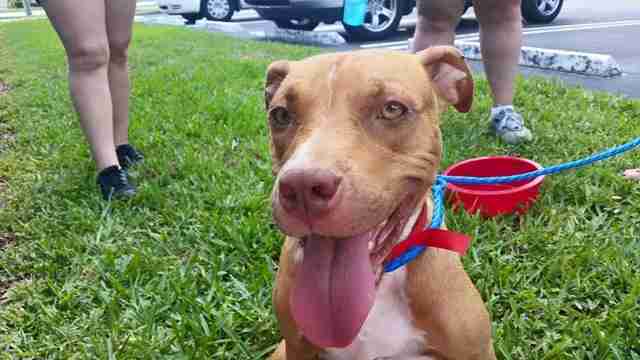 The SPCA of Brevard has set up a donation page to help cover the costs of care for Sophie and her pups.